To be an inclusive spiritual community that reaches out and inspires people to live meaningful, joyful lives of service toward the creation of a more just and loving world. Compassion provides the flame that inspires and illuminates our shared journey. We believe that when our hearts are filled with love, our hands will be moved to acts of kindness and social justice. We affirm that the measure of our faith journey is not the brilliance of our ideas but the generosity of our lives. We work to eradicate artificial barriers that separate humanity. We welcome all souls who share or seek to understand our Unitarian Universalist ideals. We don’t have to believe alike to love alike. We seek to honor that which is sacred in our lives and in each other. Recognition of the mysteries of the universe leads us to respect and honor each person’s sincere search for meaning, enlightenment, and spiritual development. We are committed to lifespan religious education in our congregation because we realize that spiritual development is for all ages and is enriched by diverse beliefs. We value science, philosophy, literature, and the world’s great religions as sources of wisdom. We believe in intellectual freedom and encourage each individual’s ongoing, free, and responsible search for truth and meaning. We are committed to the intellectual growth and moral development of our children, youth, and adults. We enrich our lives by celebrating together in a sacred spirit of camaraderie. We cherish the rituals that connect us in good times and comfort us in dark times. We believe in the joy of fellowship and fun for its own sake. working for a better world. being welcomed, accepted, and valued. spiritual growth on our chosen paths. openness to new experiences, viewpoints, and people. the experience and creation of beauty and peace. feel deeply connected to one another through service and celebration. respect and honor diverse beliefs, perspectives, and people. care for and are cared for in community. share inspiration and celebration in joyful worship. 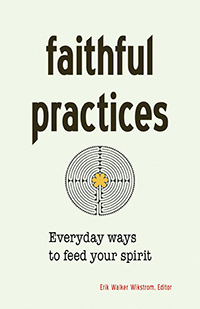 actively learn together, enriching faith journeys, as well as personal and spiritual growth. are equipped to be leaders who serve with creativity, commitment, and passion. deepen our connection to Unitarian Universalist traditions and the larger faith community and movement. Beyond (community-wide): The Unitarian Universalist Fellowship of Waco is a visible leader and partner, making a positive impact in Waco and beyond. We engage in courageous social justice actions in fellowship and in community partnership and recognize commonalities and common values across faiths. People of our larger community experience the impact of progressive religious values and voices raised together for change. Those we serve feel loved, empowered, and accepted, regardless of their circumstances. Seekers for a progressive religious community hear about and find us. We, the members of the Unitarian Universalist Fellowship of Waco, adopt this covenant for the purpose of being in right relationship with one another. Through this covenant, we make a commitment to act with mutual trust and support in this liberal religious faith community. listen deeply and speak with openness, caring, and respect. engage newcomers, youth, and young adults in the life of the congregation. contribute time, ideas, and income in support of our mission and our community outreach, according to means and abilities. foster stable congregational growth by drawing on new people and new ideas while maintaining the best of our Unitarian Universalist traditions. resolve conflicts in a timely manner with compassion, dignity, and empathy. communicate clearly about leadership activities and decisions. create, communicate, and follow clearly defined congregational policies. Our true covenant will show by our actions. May this covenant deepen our connections with one another and guide us through conflict with dignity and respect for one another. We sometimes fall short of peacefully resolving our misunderstandings and difficulties. When this happens, we will strive to repair relationships and recommit to these covenants. This is a living document, intended to reflect the needs of our congregation as it changes and grows, revisiting it as needed.